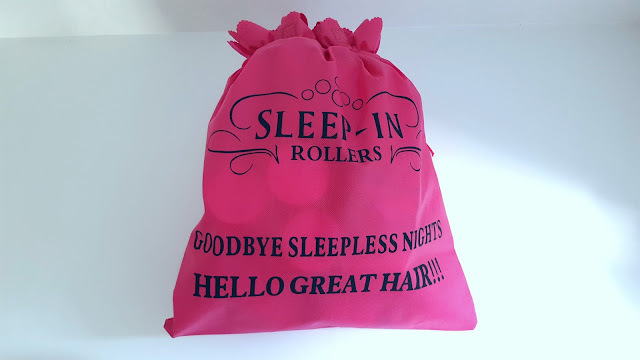 Sleep in Rollers are another product I’ve been meaning to try for absolutely ages but have never got around to it. Whilst at Olympia Beauty in October, I spotted the Sleep in Rollers stand and the deal they were offering on the day was just too good to turn down so I ended up buying the Sleep in Rollers Bombshell Blowdry set along with a whole bag of brushes. When I say my hair is flat, it’s literally an understatement. The amount of hairdressers that have tried everything to inject some volume into it is unbelievable and even when I do manage the might feat, it lasts about an hour and then goes limp. Brilliant. I was definitely dubious whether 1. Sleep in rollers actually work and 2. it’s even physically possible to sleep in them. They are a spongey foam material so I guess they are quite squishy when you lay down but surely they’ll all fall out during the night? The set came with a set of large and smaller foam rollers, clips to secure the rollers, a DVD (which I haven't actually watched yet! ), a blowdry hood and a perfect carry bag for everything. Having bought them in October, it got to March and they were still in the box. I hold my hands up to admit I’m not very good with my hair so the thought of putting them in, didn’t really fill me with excitement. However, when Abi was staying over before our bloggers holiday to Center Parcs, I decided having someone else’s help (full assistance) was a perfect excuse to give them a go and asked if she would mind helping me put them in – or doing it all for me as the case was. Overall, they did take about an hour to put in, but I would imagine the process does get quicker when you get used it to. We ended up double clipping them as I was worried I would lose some in the night and once we were done, I was more than ready to got to bed, and I’m sure Abi was too! So sleeping with a head full of rollers… I’m not going to lie, it wasn’t comfortable. Not so uncomfortable that I couldn’t sleep but I ended up laying flat on my back and not really moving, not ideal for the wriggler like me. I was fine whilst asleep, they weren’t so uncomfortable that it woke me up or anything but when I did wake up in the morning, I didn’t lay in bed looking at my phone for an hour like I usually do as laying on them was annoying. Great way of making me get out of bed in the morning though I should add. When it came to taking them out I was very apprehensive, If they didn’t work, I would not have been happy about the uncomfy night’s sleep for them. However… I was mesmerised when they came out. For the first time, literally ever, I had big big bouncy hair. I have to admit, I didn’t spend the time I usually would spraying it, as everyone was arriving at my house to leave for Center Parcs and time definitely wasn’t on my side. After running around packing and two hours in the car, my hair had started to drop quite a lot so there’s me wishing I had taken the time to use every product going to make sure it stayed in place. Whilst at Center Parcs, I gave the rollers a try again in the front and crown of my head, for a couple of hours whilst I was getting ready for the night out. Even though they weren’t in long, they did make a difference to my roots, which I where I have the most problem with volume. They weren’t a problem putting them in myself either which I was happy about. Are they worth the money? Definitely. I’m not so sure on my abilities to do my whole head myself but I will definitely give it a go. 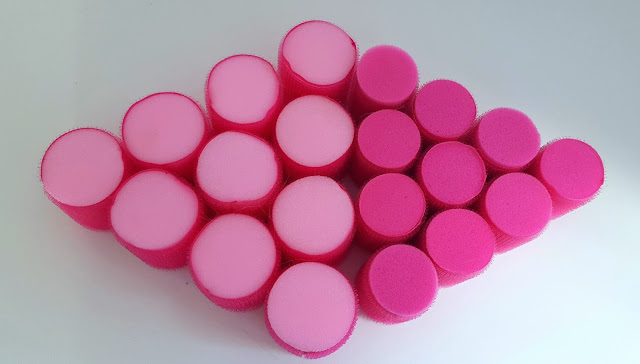 For now, I’ll just be using them on the front and crown of my head which is definitely enough to achieve the look I like. I’m currently experienting with putting them in slightly different angles to find what works best for me. The kit I got also came with a hood which can be put over the whole head of rollers and plugged into your hairdryer. This is meant to give you an even bouncier blow dry so I’ll definitely be using it in the near future. Maybe I’ll do a vlog of it! 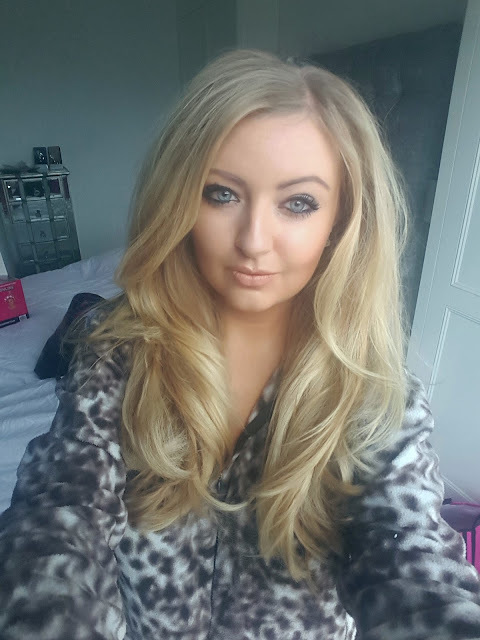 When I bought my Sleep in Rollers, I also purchased the Sleep in Rollers blow dry barrel brush which is an ABSOLUTE DREAM. I’ll be blogging about it next week in my hair favourites so keep an eye out for that, I recommend that literally everyone buys it right now! Let me know what you guys use to inject volume into your hair! I need all the tips I can get! your hair looks so fab! ive never tried anything like this but the thought of sleeping and getting my hair done is fab! Oh my hair really suffers with being limp and flat... I love how your hair looks after using them! Will definitely be having a look.